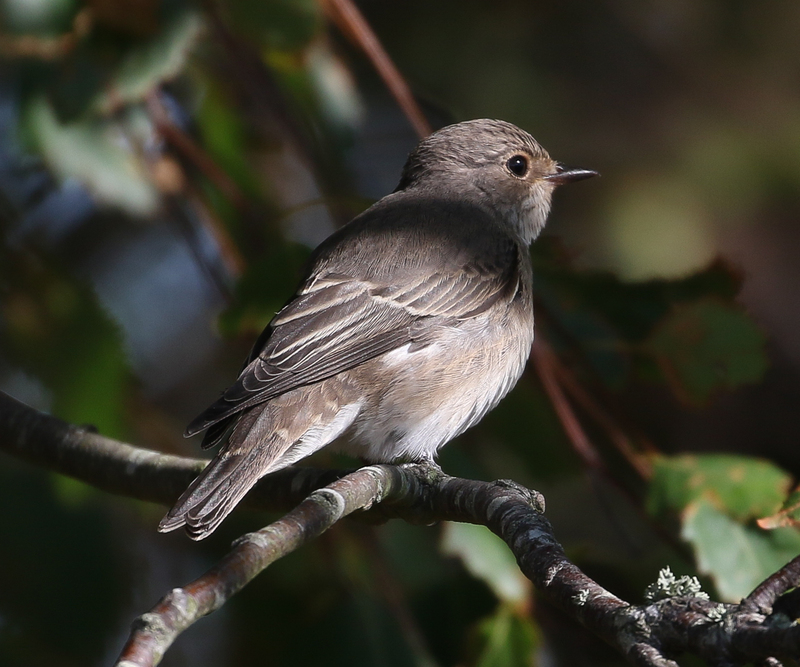 Another great time in the Autumn for me is when the Spotted Flycatchers are on the move in numbers as there are usually one or two that are happy to pose for photos. 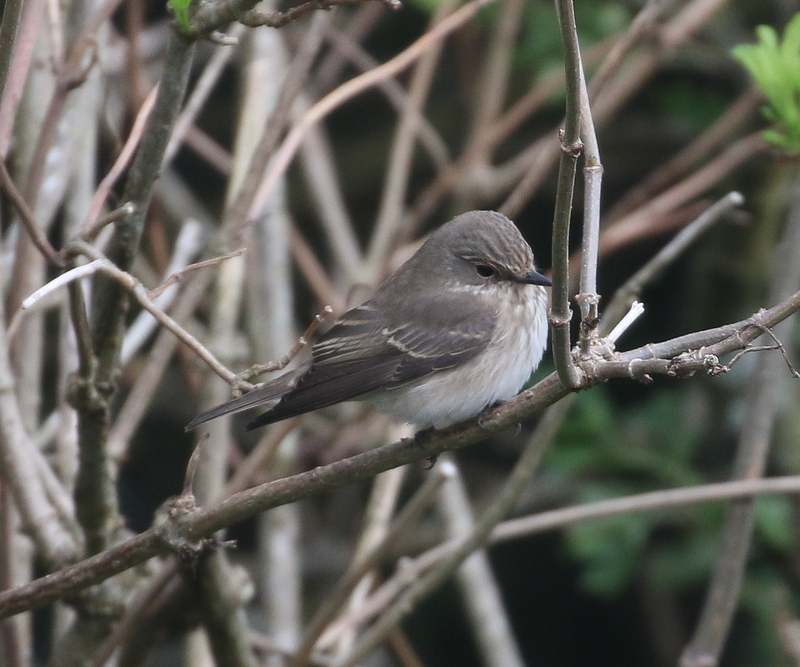 This individual was on the top of Ballard Down. 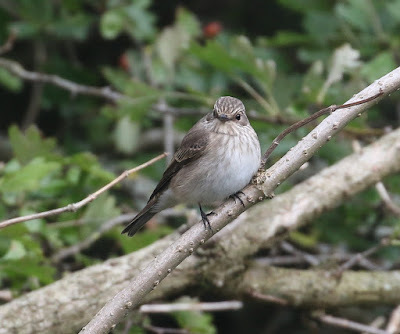 Here is another Spotted Flycatcher, which is one of several seen at Greenlands Farm on the Studland patch a few days earlier. 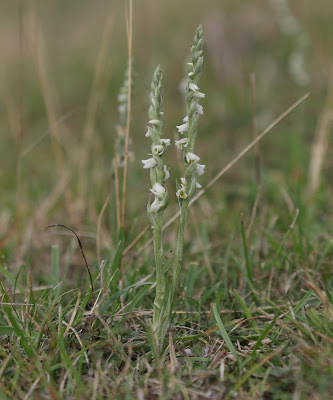 It's that time of the year again when the last local Orchid, Autumn Lady's Tresses appear. 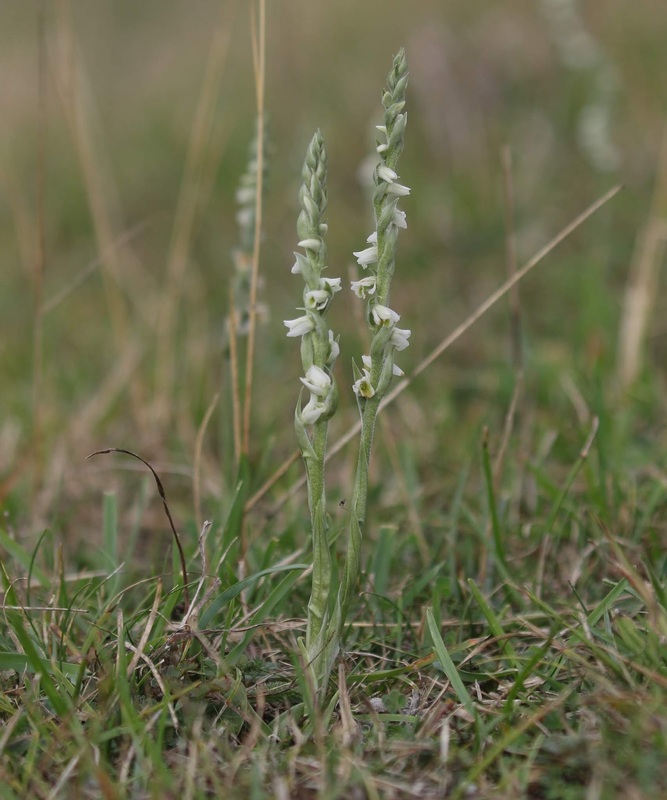 They are one of my favourite local Orchids. If it is a slow day of migrant Birding, then they help to keep me going. 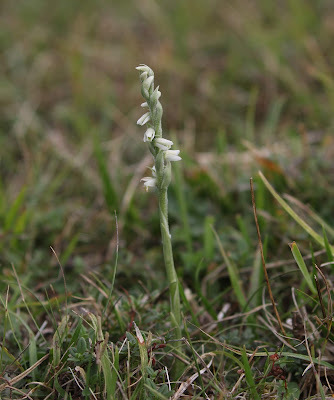 These photos are from another colony I found on Ballard Down within my Studland patch. 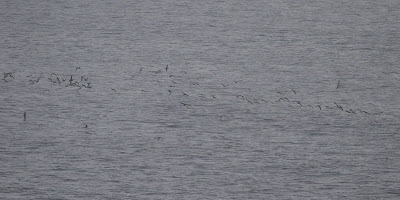 There were 53 in a quick scan, but I'm sure a more careful scan would have produced more. 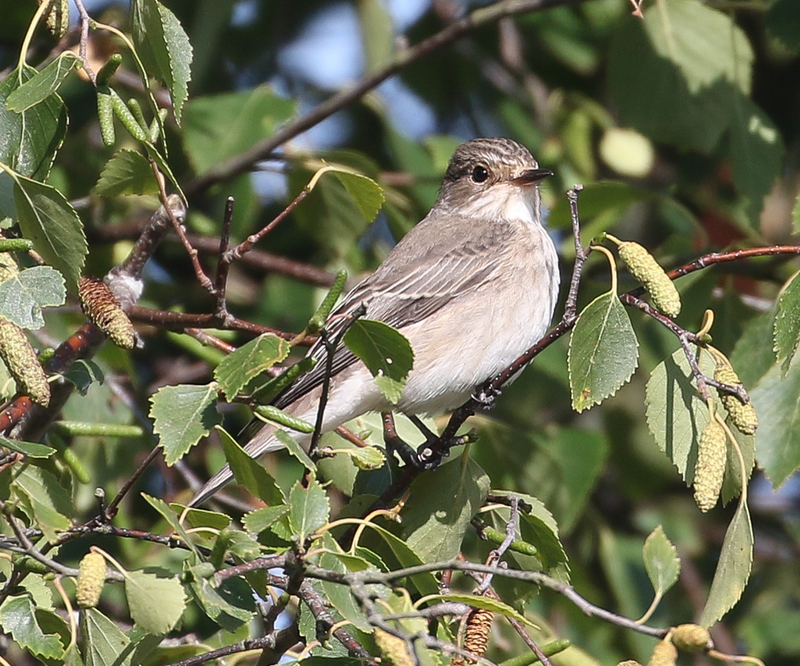 But as this colony is next to some good-looking bushes, then after a few photos I was back to looking for migrant Warblers. 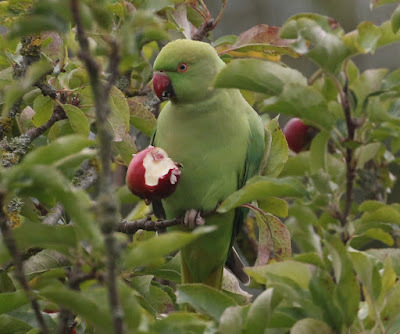 There are a few Dorset Birders who make the annual visit to the Studland village area to see Ring-necked Parakeet for the Dorset Year Lists & in some cases, having to make more than one visit before they are successful. This is a species I will bump into them throughout the year given it's part of the Studland patch & they can often be heard squawking from the Middle or South Beach car parks & generally fly into view soon after. But they have been a bit more irregular in the last few years. 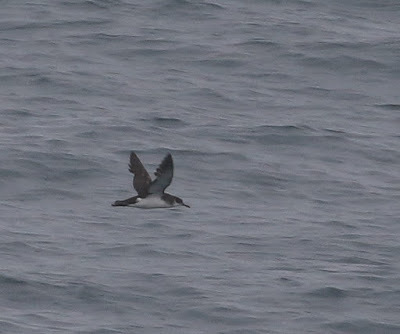 However, I've not visited the Middle Beach to check for Divers & Grebes as much in the last year or two & think they are missing me as one started irregularly appearing last year around my house. This year when I got back from the Atlantic Odyssey, I was seeing one or two more regularly locally. 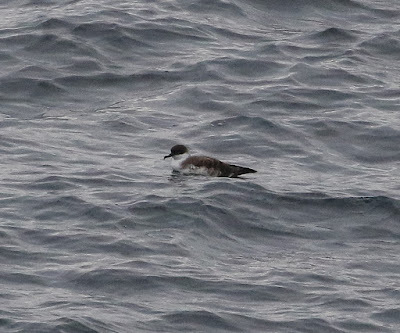 So, I was not overly surprised when I saw a flock of four about a month ago & confirmed that there were two juveniles in the flock. 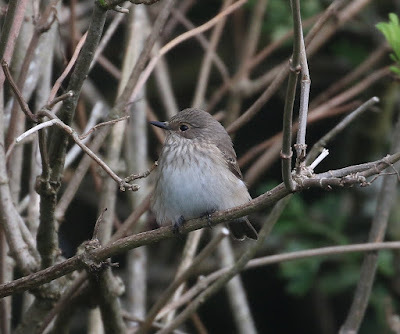 This has now increased to three juveniles, as well as, the two parents. 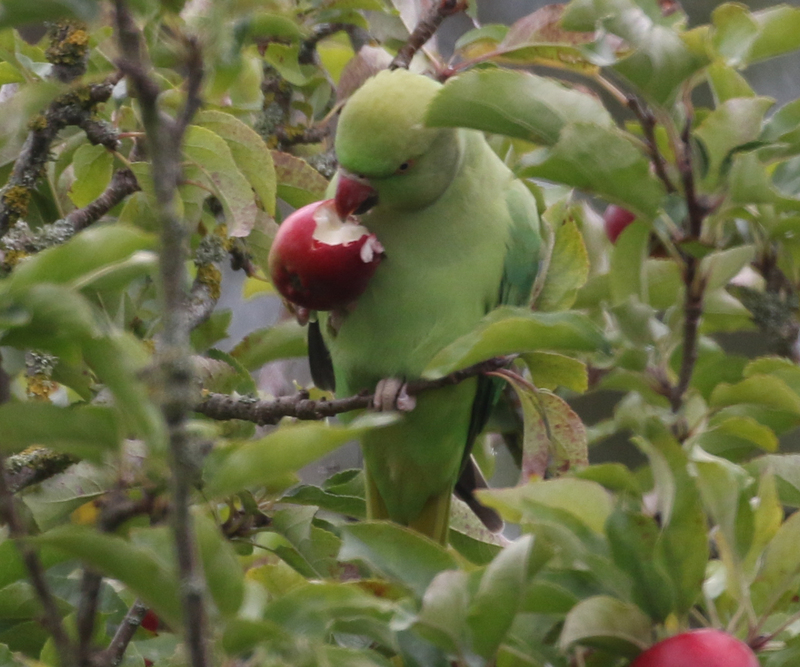 This morning after seeing all five in a neighbour's tree, two soon after dropped into my apple tree for early morning breakfast. 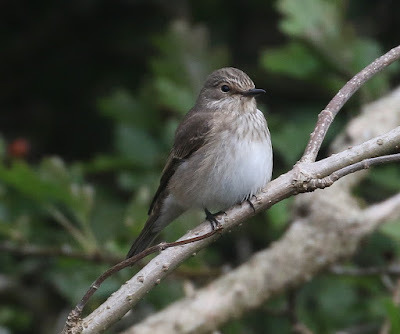 I never had to make much effort to see them each year in Dorset & now I have to make even less effort. 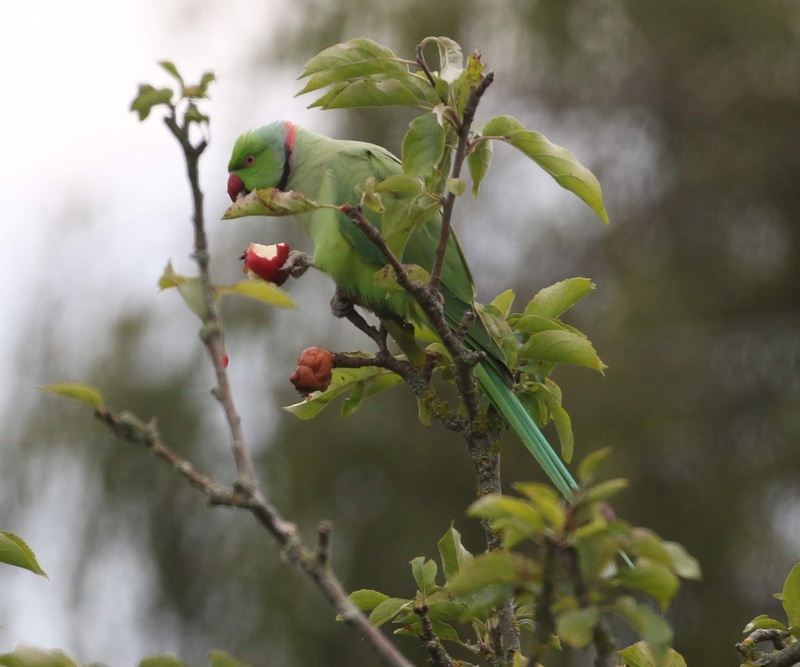 This is probably one of their first times for successful breeding away from Studland where about ten Ring-necked Parakeets were released by a previous owner of the village pub in the late 1980s. 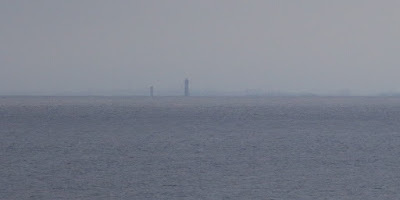 The third & final Post from Littlesea, Studland when I was unsuccessfully looking for the Purple Heron. There were plenty of other wildlife to distract me including a showy Moorhen & an Ashy Mining Bee. 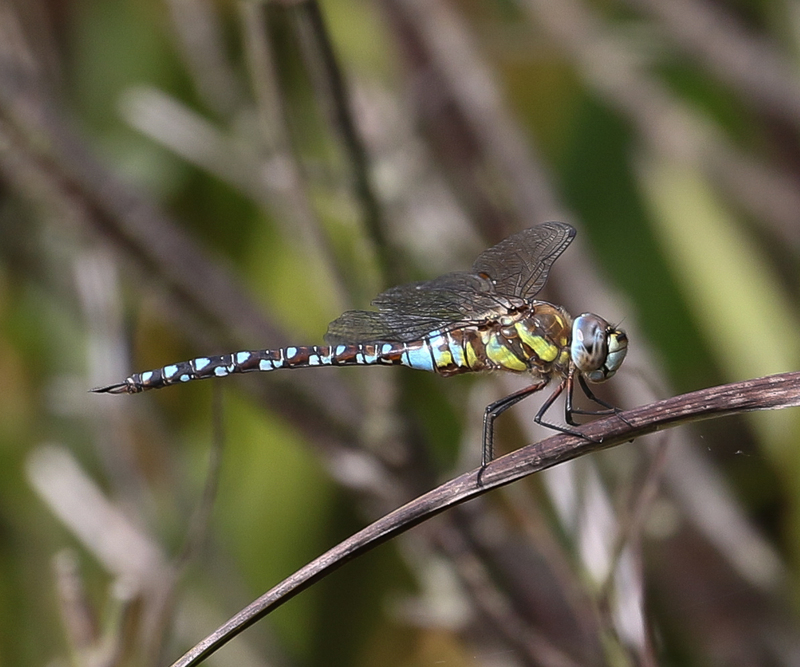 I also saw good numbers of male Migrant Hawkers. 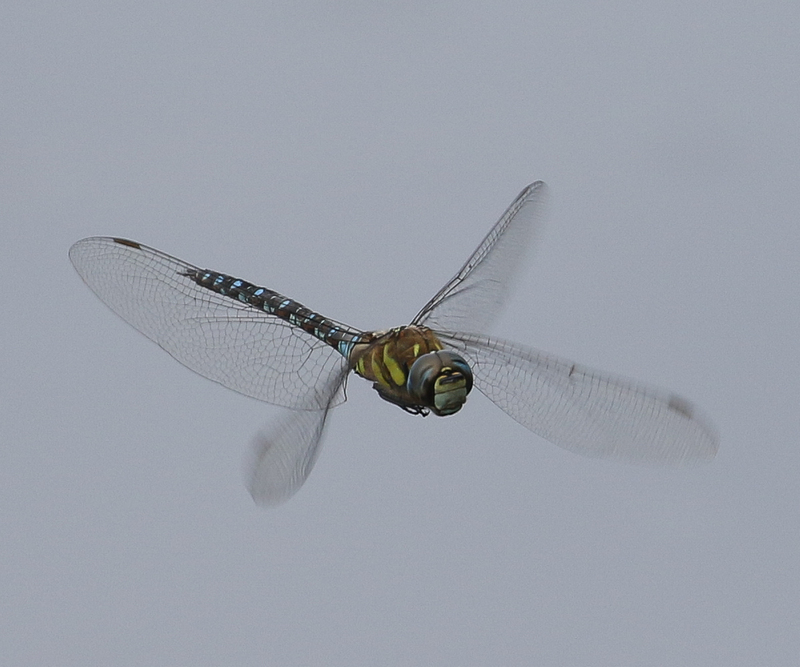 They spent a lot of time patrolling along the edge of Littlesea, but would hover every now & then for photos. 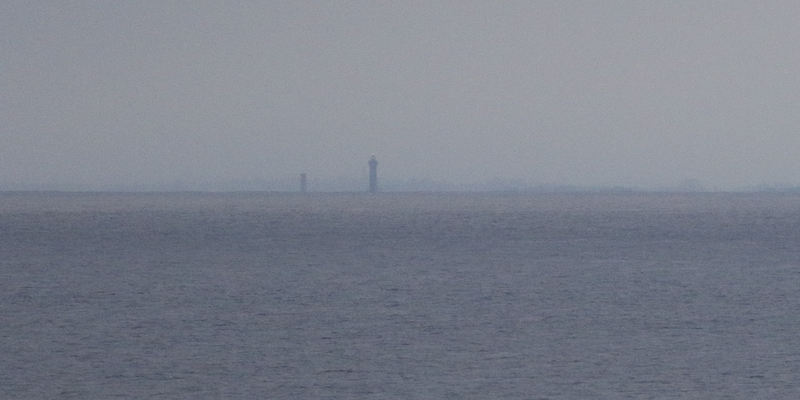 I spent another four hours unsuccessfully looking for the Purple Heron around Littlesea, Studland today. 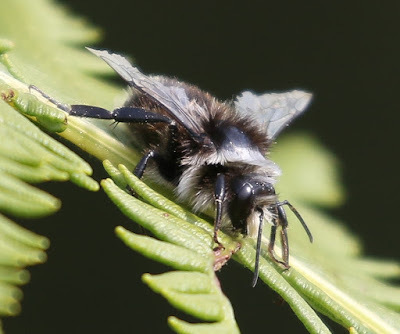 However, I was pleased to photograph this Ashy Mining Bee as I was walking back to the car park. 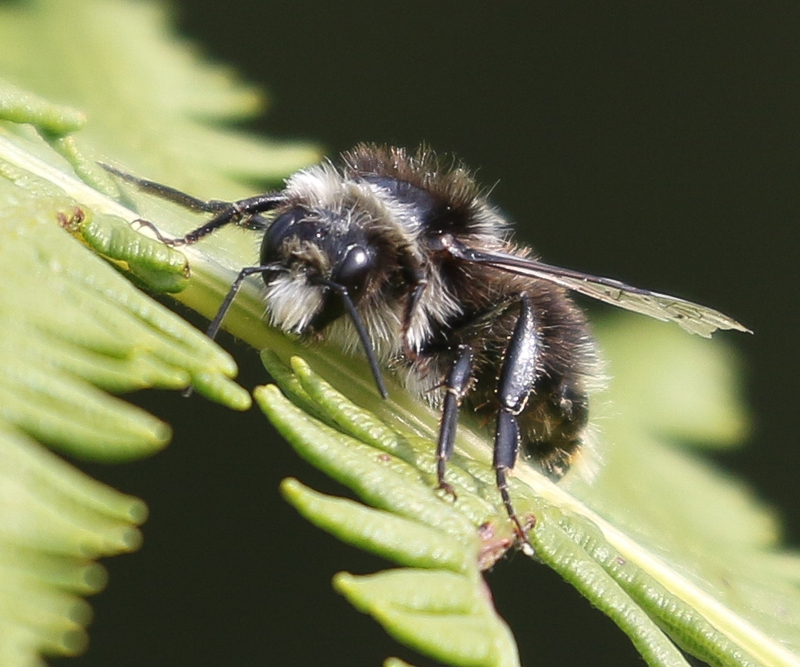 I've seen Ashy Mining Bees in large numbers before where I used to work in Hampshire in Mar - May. Their colony was a large area of well mown lawn. 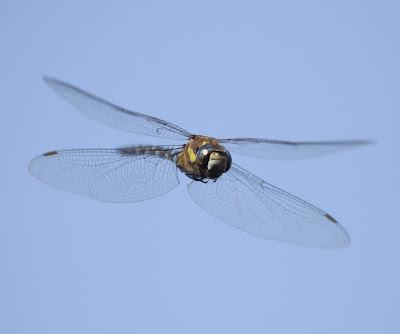 They would fly low over the grass on sunny days. 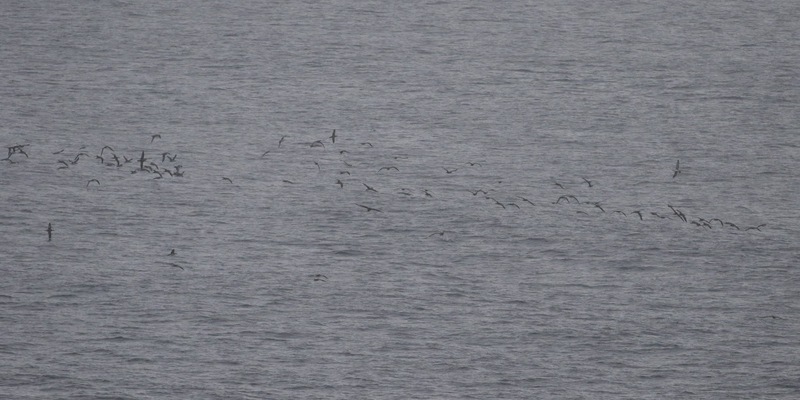 They disappeared after early May, so I assumed that was the end of their flying season for the year. 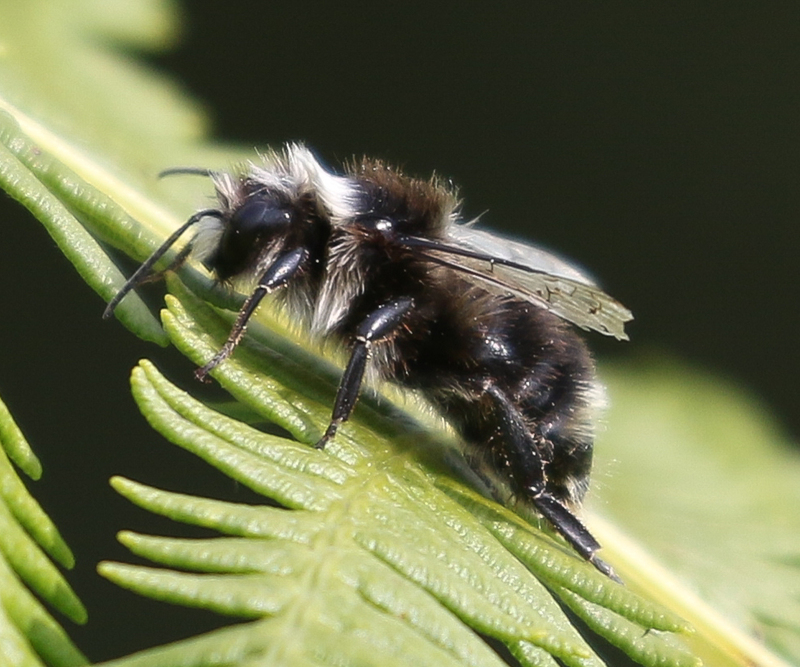 So, I wasn't expecting this Mining Bee to be the same species. However, checking the excellent Field Guide to the Bees of Great Britain and Ireland by Falk & Lewington, I was surprised to find that they occur on other habitats, including heathland & can have a partial second generation in Jul - Aug. All of which fit perfectly for Littlesea. 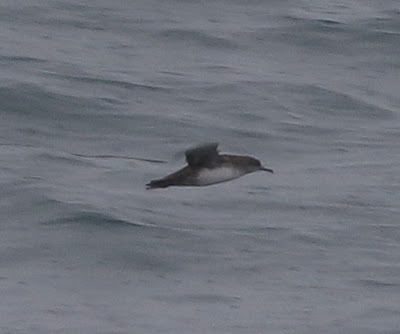 This is the first time I've seen them on the Studland patch. A few days ago, another local birdwatcher bumped into the Purple Heron at Littlesea, Studland. I've not looked during the day time for a couple of weeks for it, so I thought I would give it another few hours of looking. 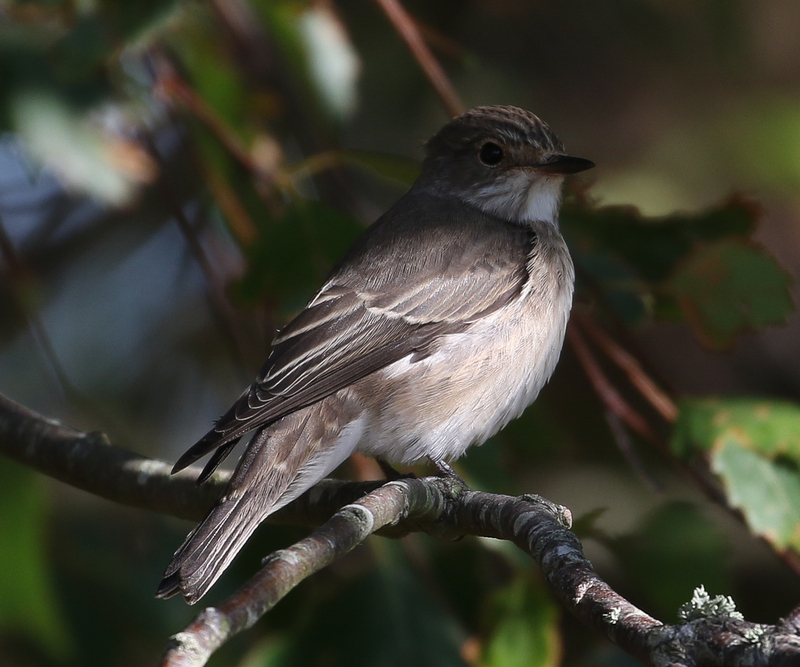 A couple of hours were spent sitting in the Nature Trail hide where it had been seen recently. 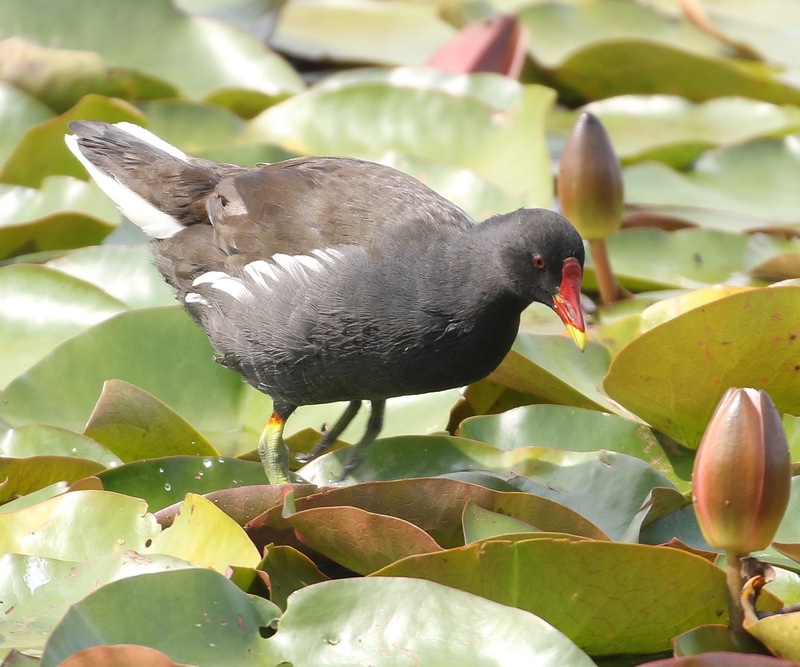 I had no luck with the Purple Heron, but this lily-trotting Moorhen came past at one point. I'm sure that many Birders tend to ignore Moorhens, but personally I like them. 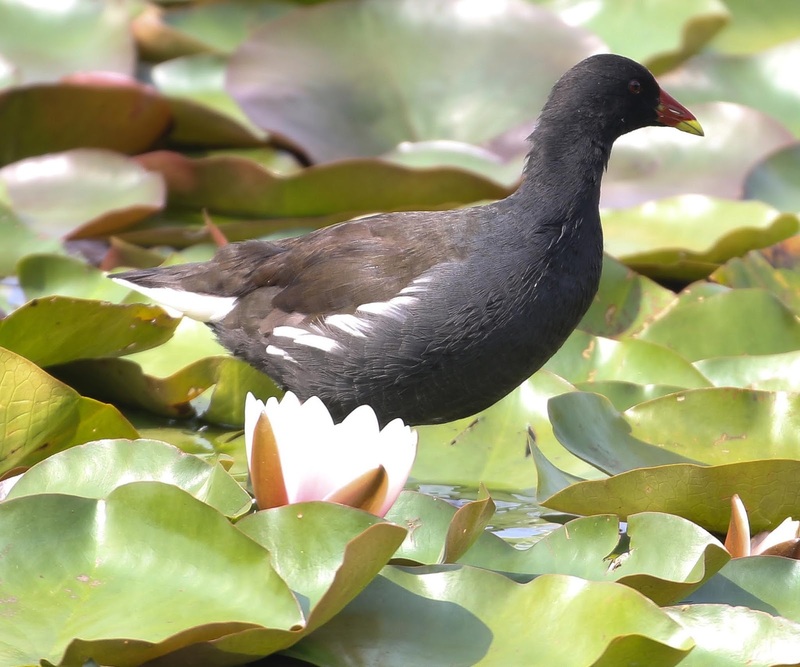 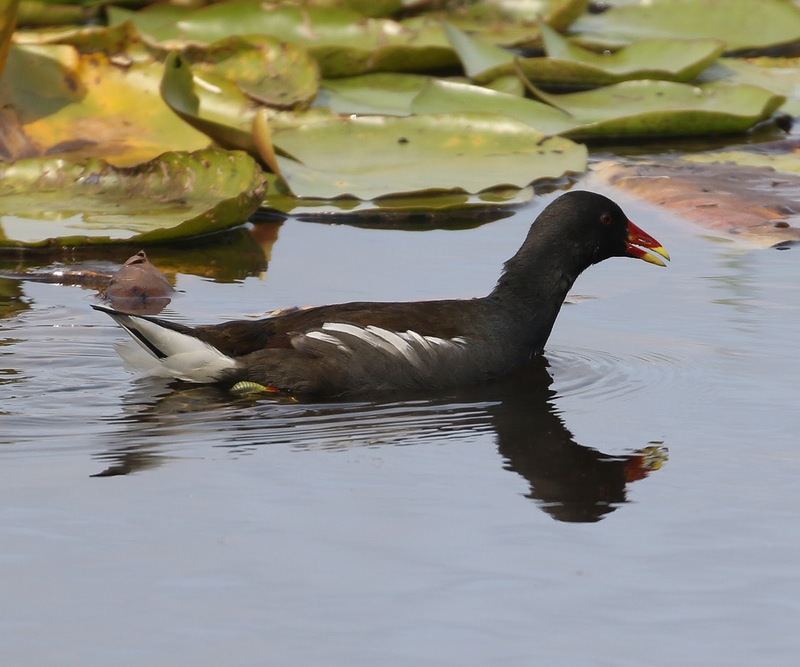 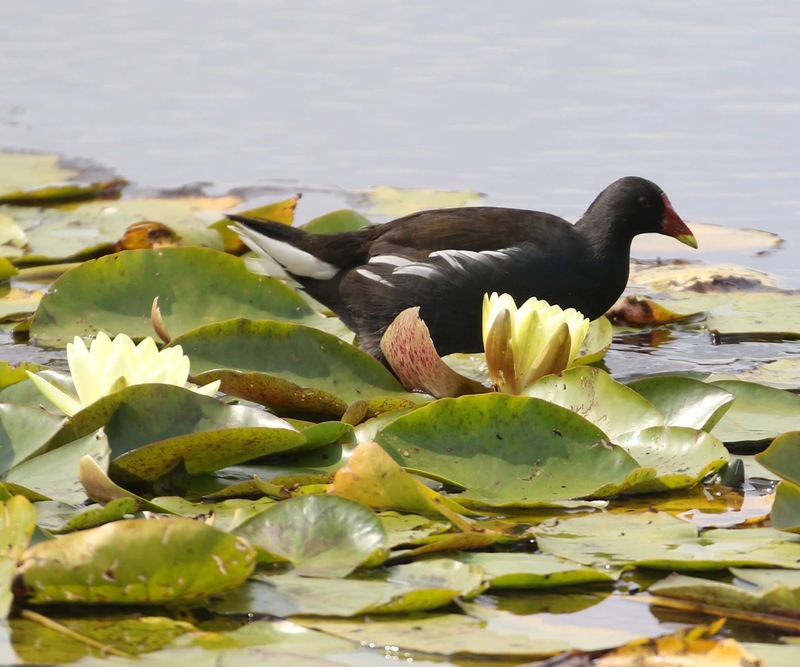 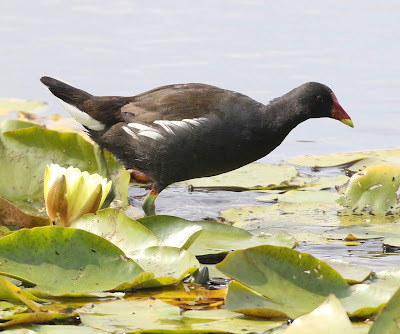 Moorhens have successfully made it to five of the six inhabitable continents until recently, when the New World subspecies were split as a separate species. They are replaced in the final inhabitable continent of Australasia, by the similar looking Dusky Moorhen. 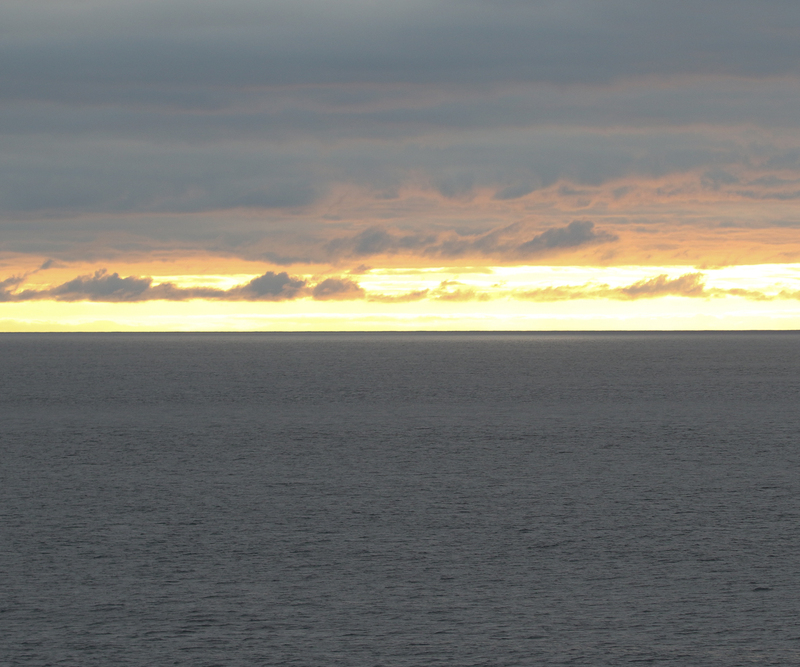 Dawn on the final morning saw the Pont-Aven in North Biscay. 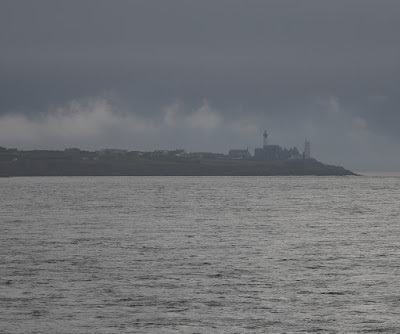 Unfortunately, she had already crossed the continental shelf in the darkness of the early hours of the morning & we were only a couple of hours South of the Brittany coast. 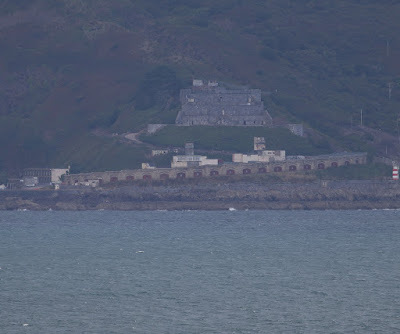 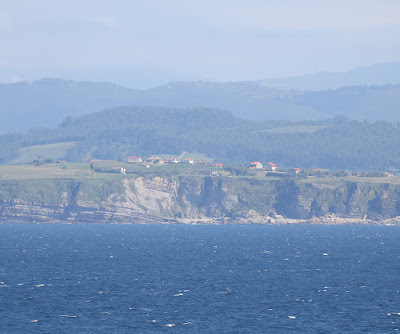 This was a sea area we had already travelled through at night on the way home on the Bilbao ferry so one of the benefits of the new route was getting the opportunity to see it twice in daylight. 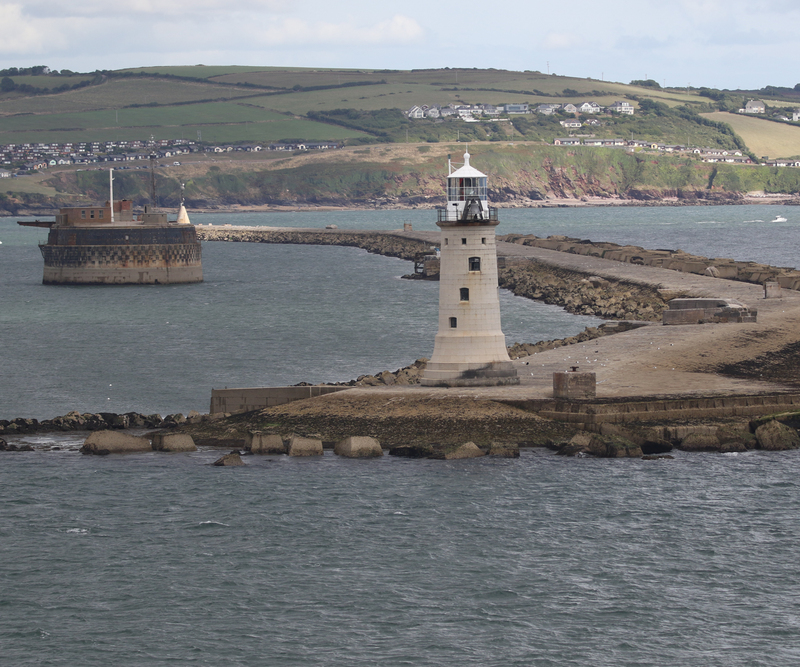 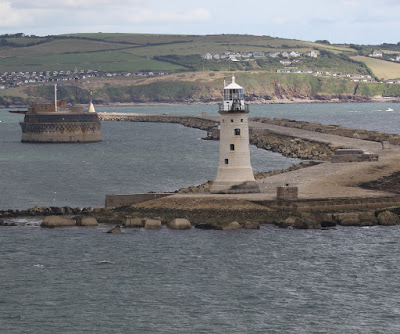 The Pont-Aven allows passengers to see the whole route in daylight once between Plymouth & Santander (spread over the two days), as well as, the Eastern Solent & Isle of Wight. 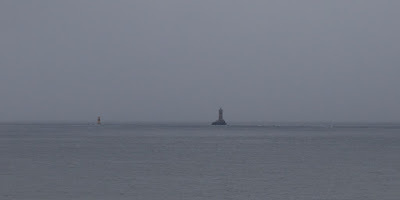 The weather was similar to the previous morning when we were in this sea area: calm seas & heavily overcast with poor light. The only Cetaceans I saw were about fifty Short-beaked Common Dolphins in several scattered pods & 4 Harbour Porpoises. 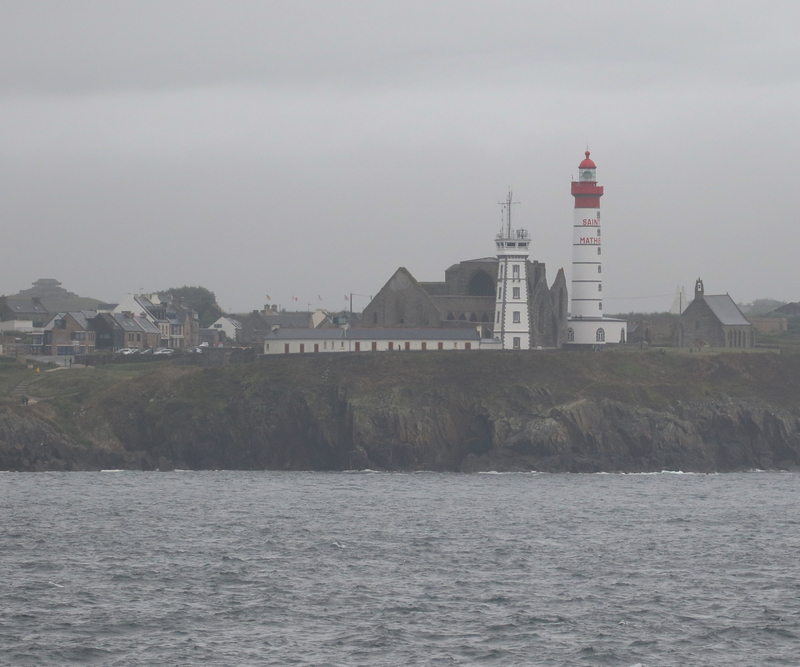 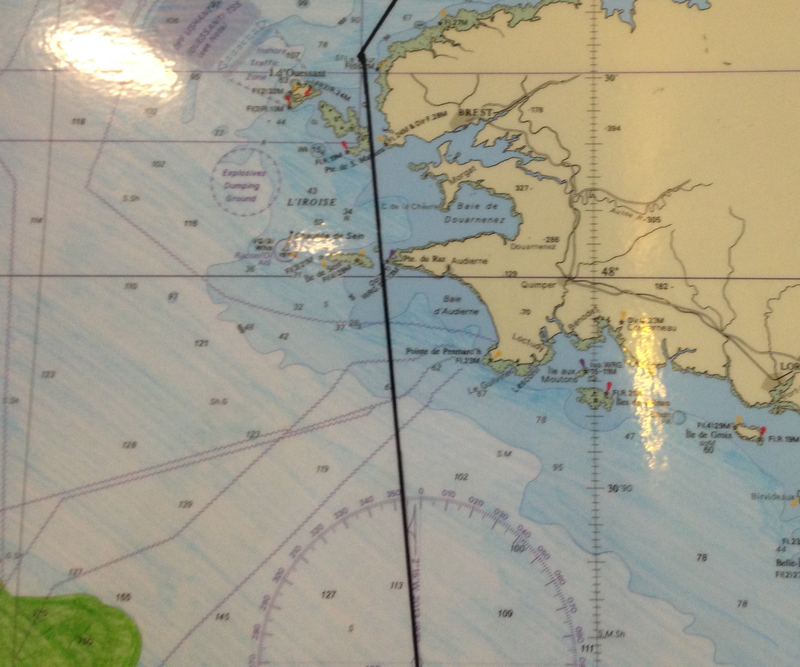 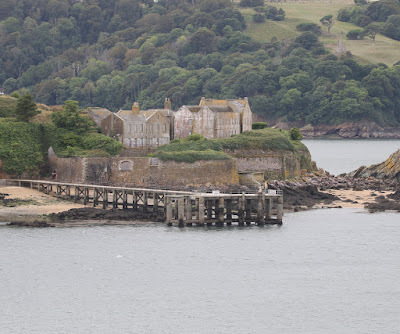 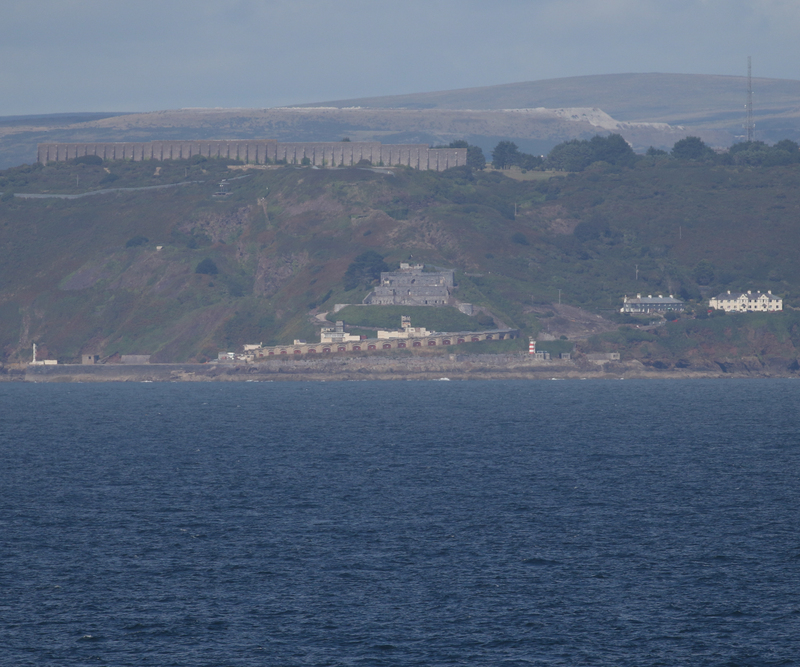 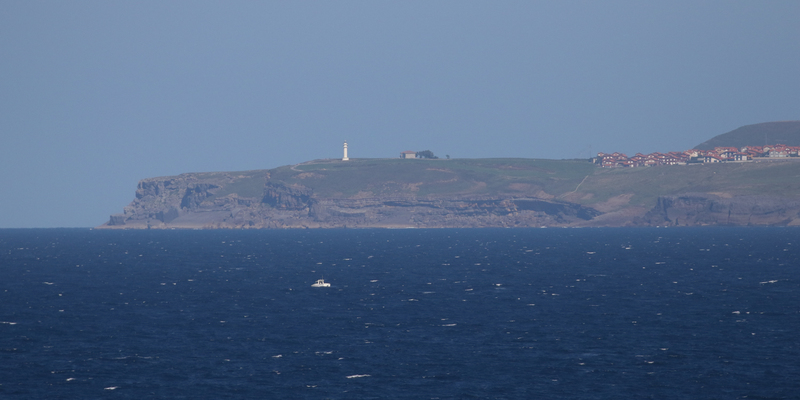 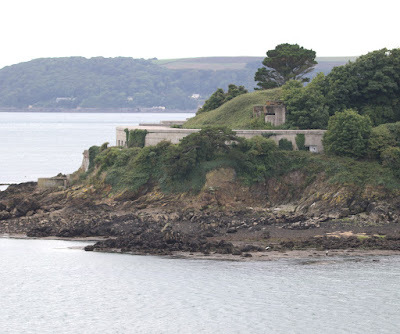 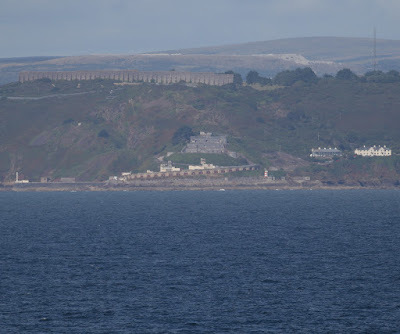 All were seen in the first few hours before or as we passed the Brittany coastline. As with the rest of the wildlife seen today, they weren't close. 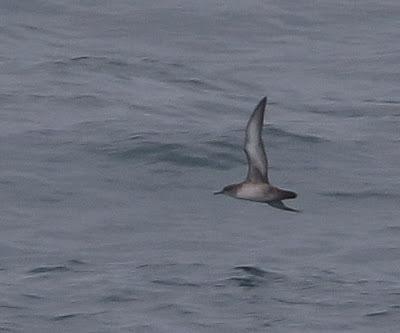 I saw at least three hundred Great Shearwaters, as well as, the best part of a hundred Balearic Shearwaters & Manx Shearwaters up until we passed the last point of the Brittany coast. 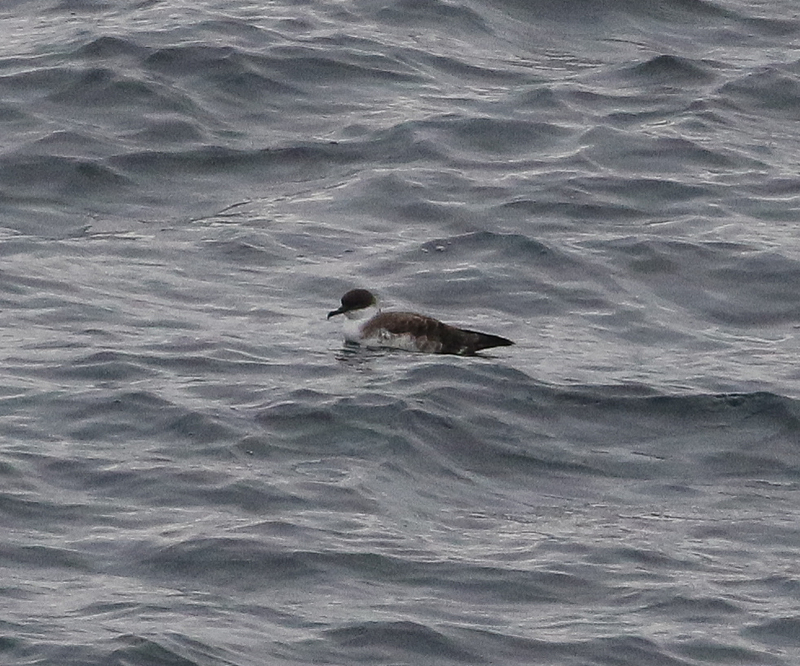 Unfortunately, the light was poor throughout the morning & none of the Shearwaters were close to the Pont-Aven. 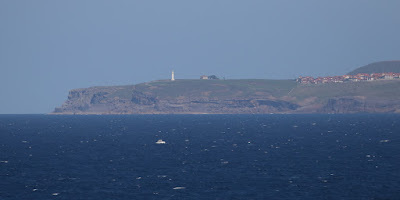 We were soon in sight of the Brittany coast. After passing the Brittany coast, the conditions deteriorated as the wind strength increased, the sea became a bit choppier & the wildlife dropped off. I decided to catch up on some lost sleep for a couple of hours. 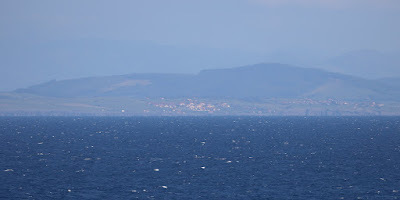 To be on the safe side I had been taking seasickness tablets & they always make me sleepy. 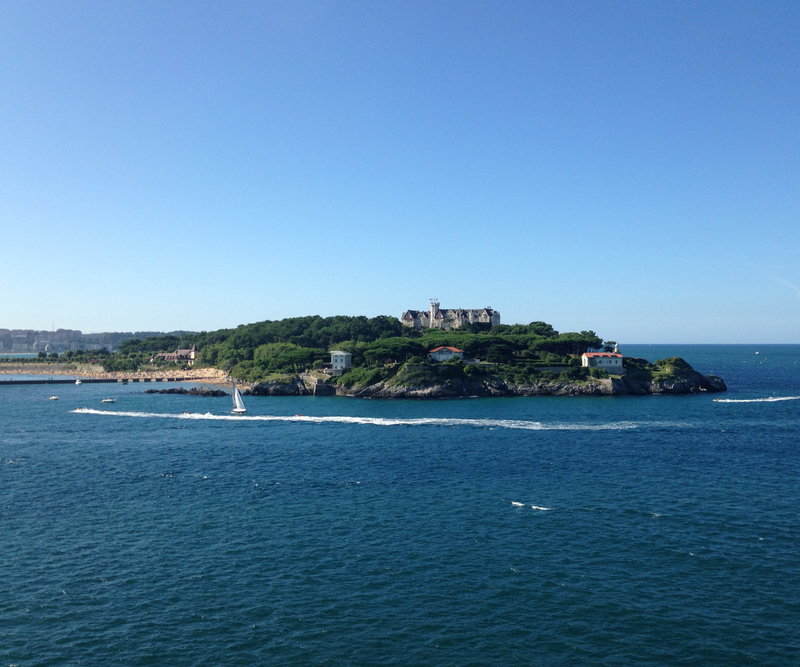 When I got back on deck I found nearly everybody else had given up. 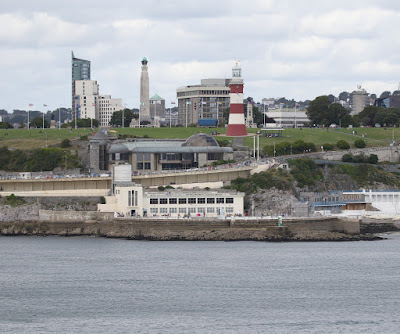 However, I still had a couple of hours to see something good on the run into Plymouth especially as we were now in British waters & the light had finally improved. 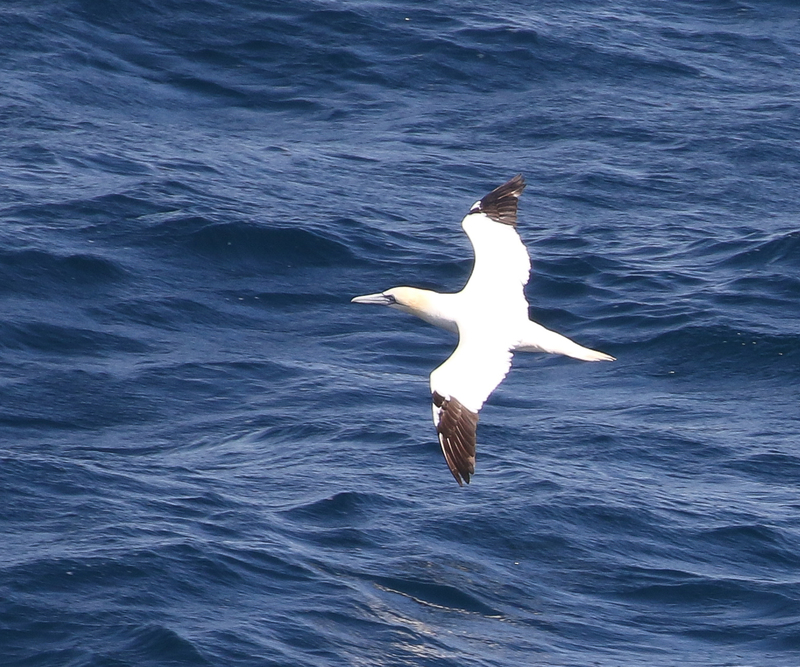 A few Gannets, three Fulmars & two Manx Shearwaters were about all I saw for my efforts. 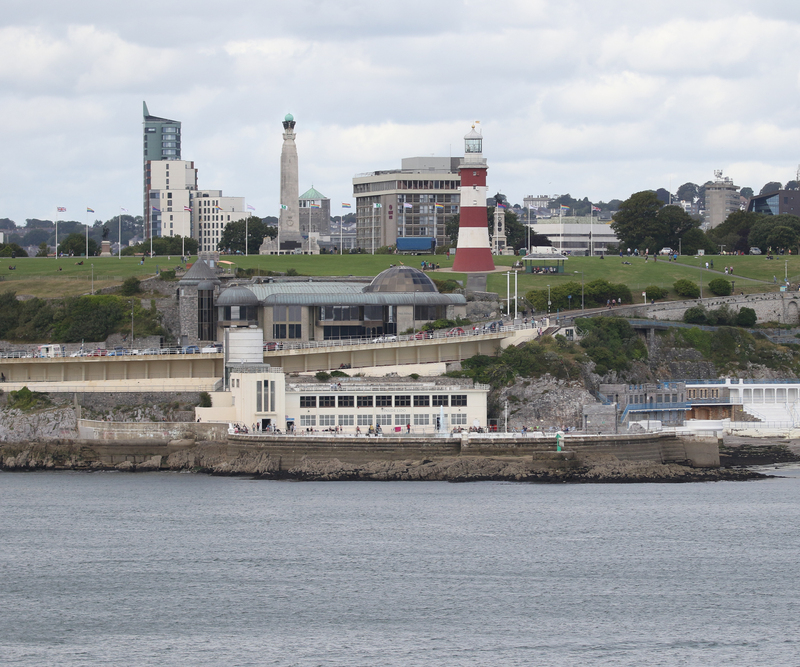 Still it was good to see the approach to Plymouth as it's the first time I've arrived by sea. 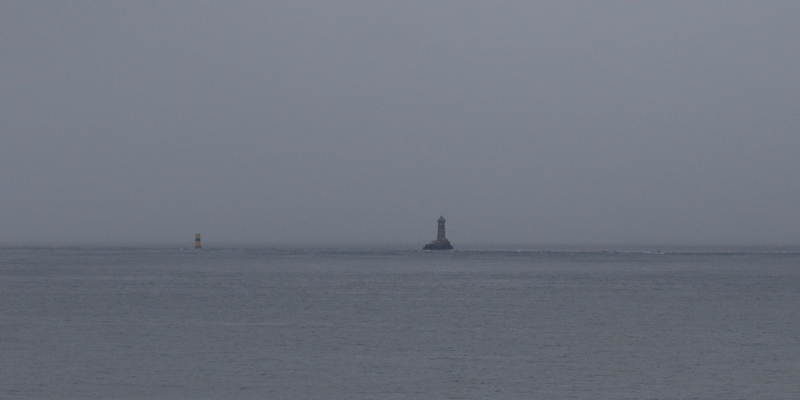 The weather could have been better on the way home. 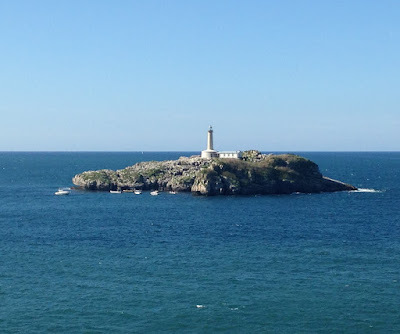 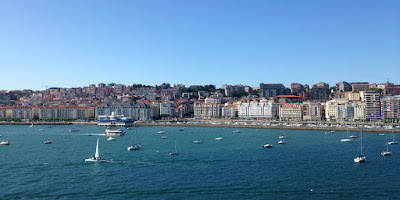 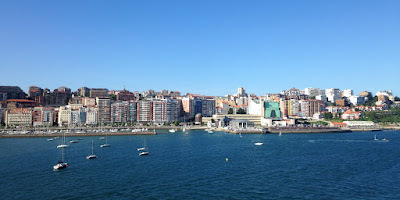 However, the journey to Santander was excellent & having the Orca team on the ship helped getting information around the top deck about the Cetaceans. 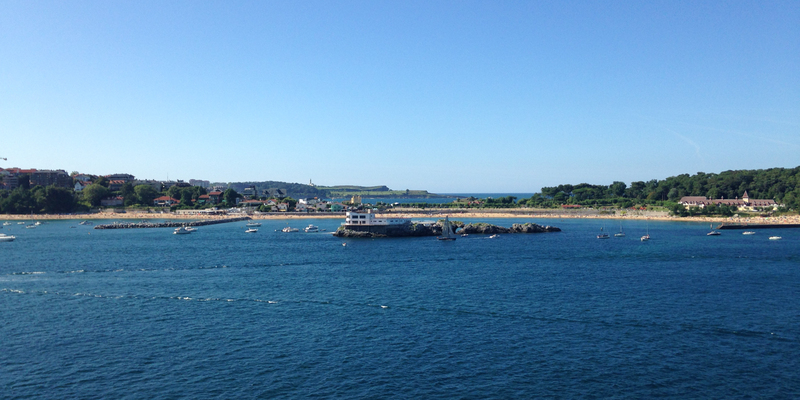 Overall, it was a great trip & I will be back next year. 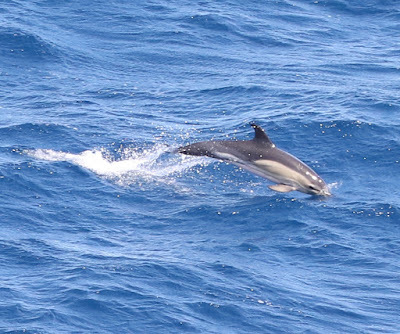 The morning on the Pont-Aven in Northern Biscay heading for Santander had been excellent with good numbers of Fin Whales & Short-beaked Common Dolphins & Great Sheawaters, as well as, my first Cuvier's Beaked Whale. However, it all quietened down after we left the continental shelf & entered the deep water. We lost both the Cetaceans & Seabirds for several hours. 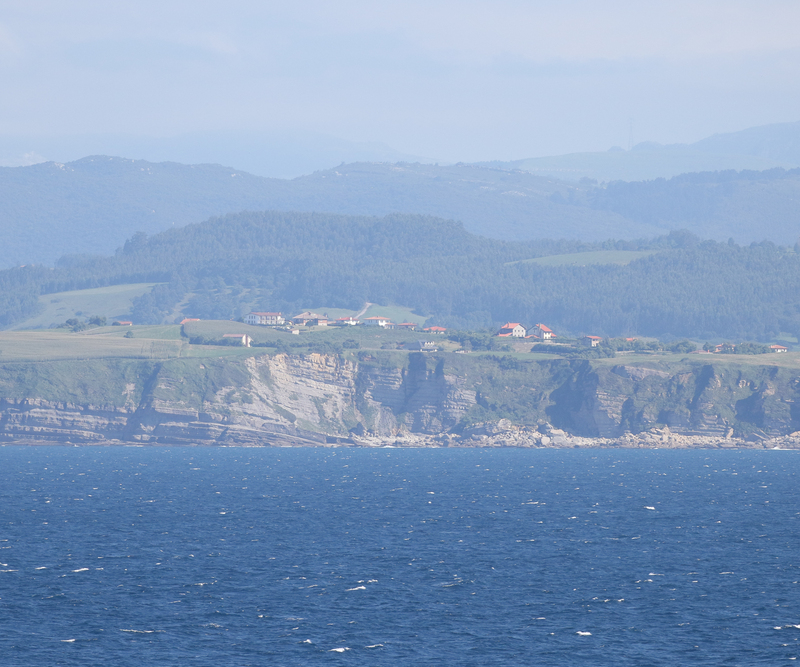 The lack of fishing boats also confirmed that the fishermen didn't think there were good numbers of fish in central Biscay. The sea state had picked up so while the sea was still calm, there were a lot of white caps on the waves which made it more difficult to pick out a passing Beaked Whale. There were a lot of eyes looking, but with no joy. 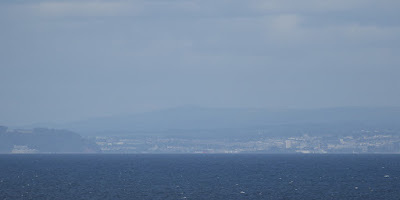 By mid-afternoon, we could see the distant shape of the Spanish coastline on the horizon, which was getting rapidly larger given the 23 knots we were sailing at. 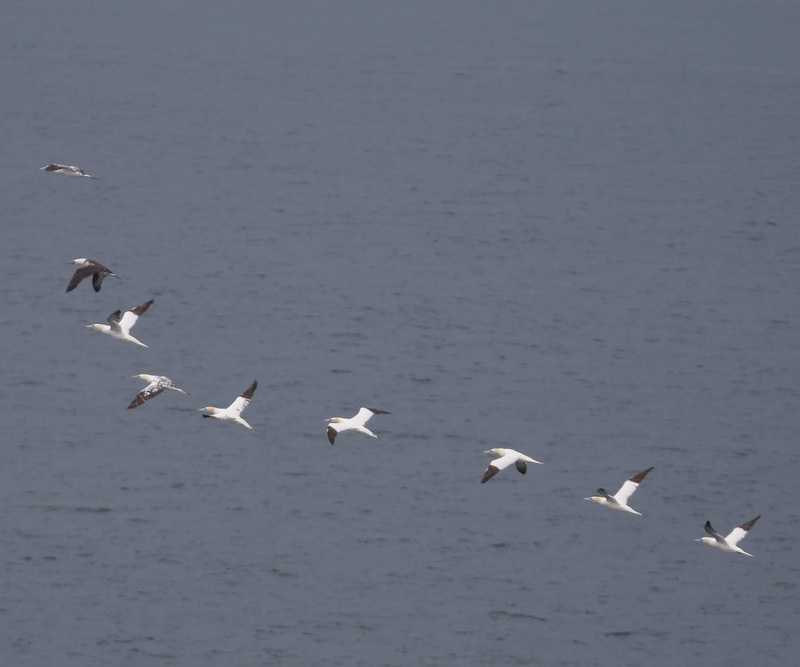 I picked up the first Lesser Black-backed Gull, followed by the first Yellow-legged Gull, which were the first Birds seen all afternoon & a sign we would be docked in the next hour. 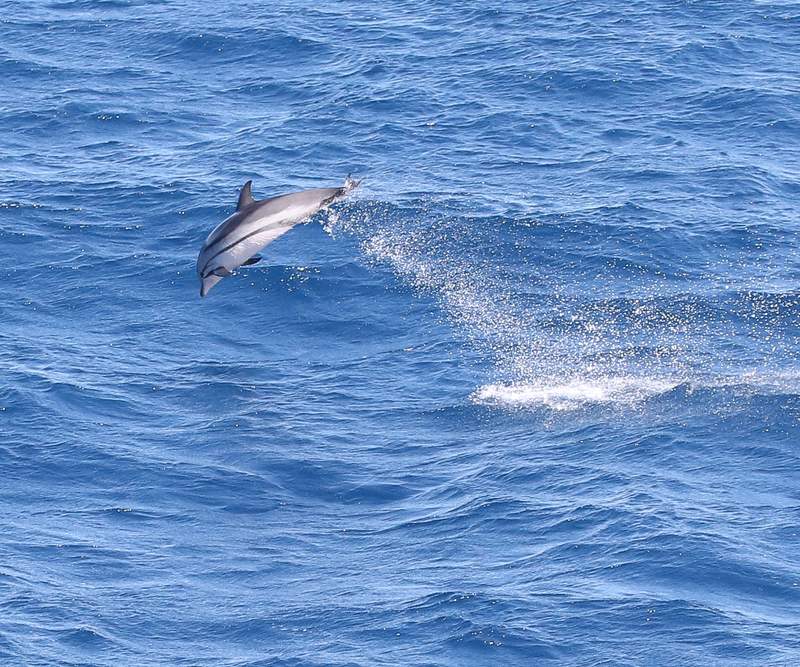 Fortunately, a shout of Dolphins approaching went up to liven the afternoon up. 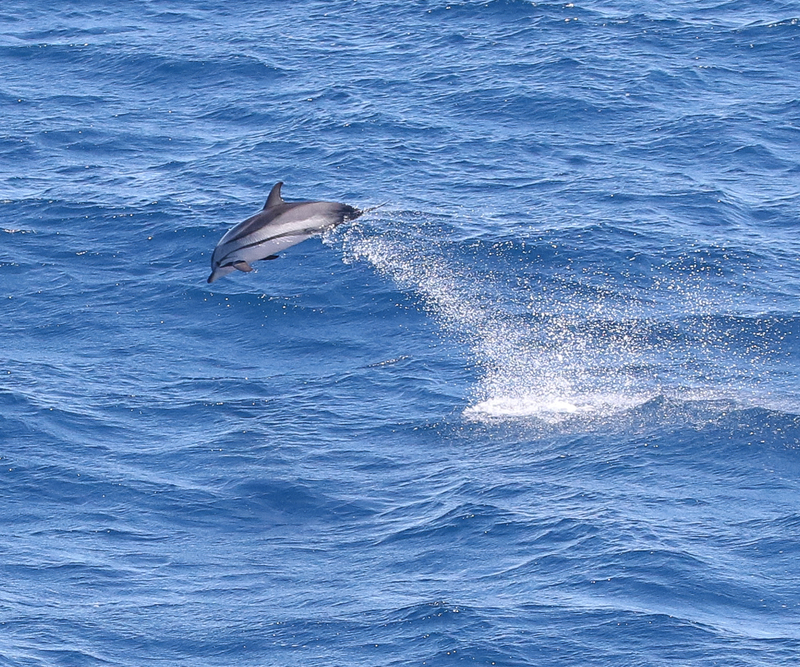 I quickly picked up a couple of small groups of Dolphins heading for the ship. 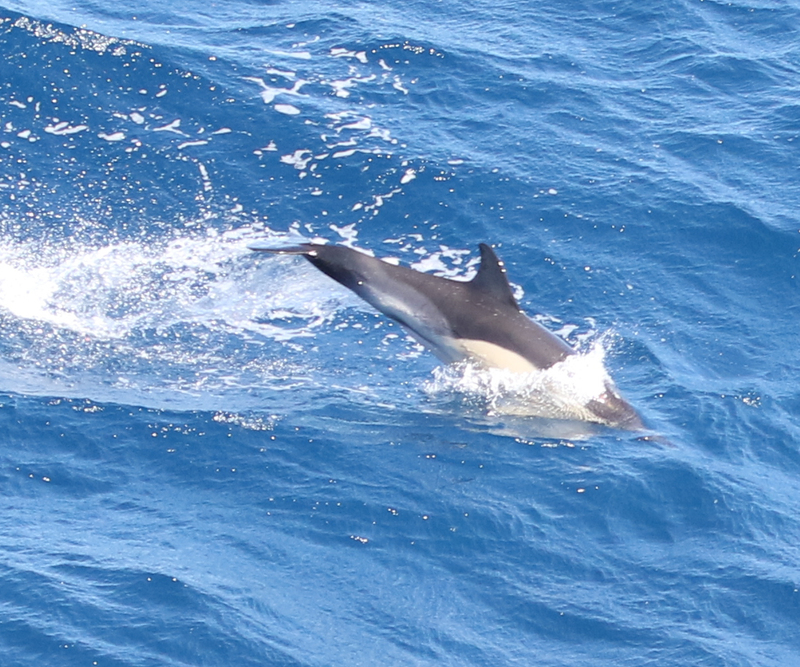 I was pleased to see these Short-beaked Common Dolphins as the last few hours of watching had been dire. 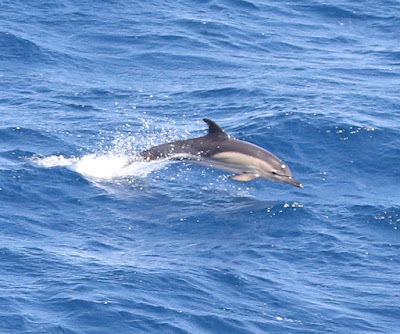 However, I had hoped they would be Striped Dolphins as there had been good numbers seen on the final approach to Santander a week earlier. 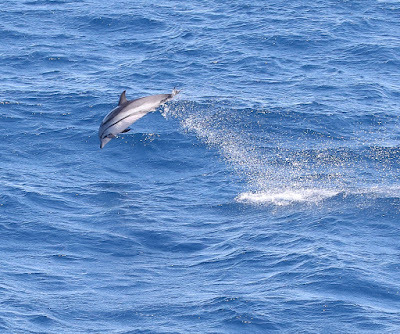 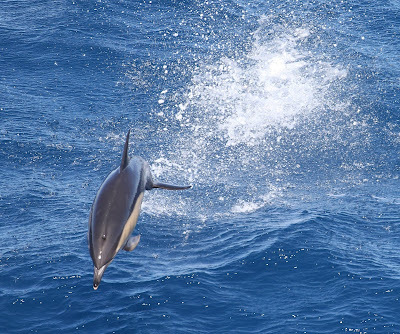 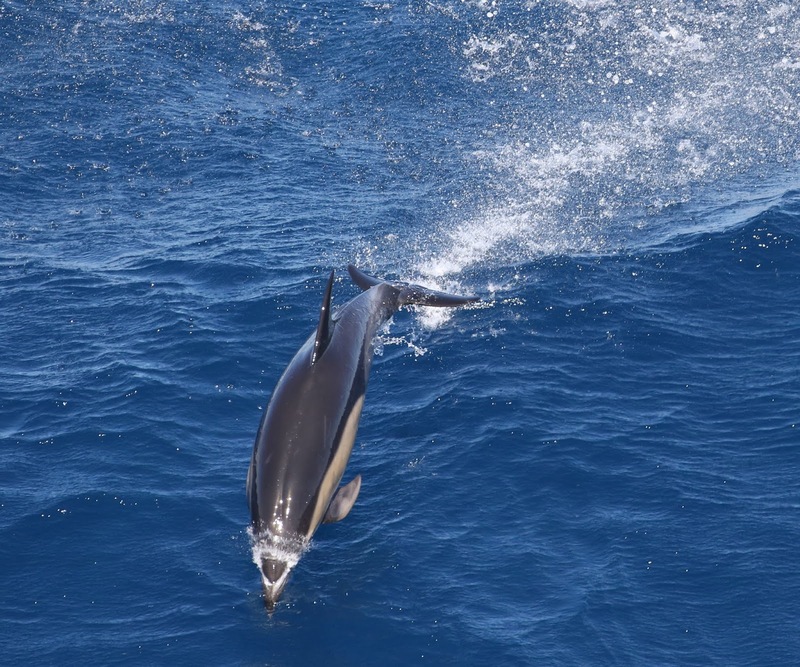 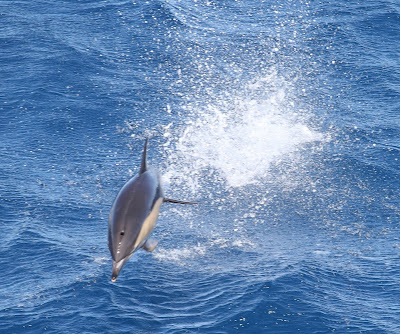 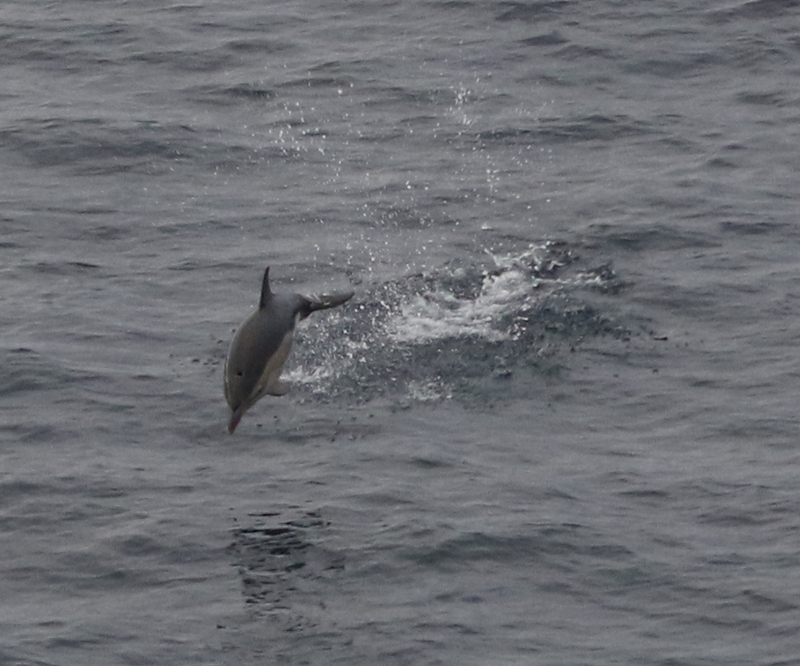 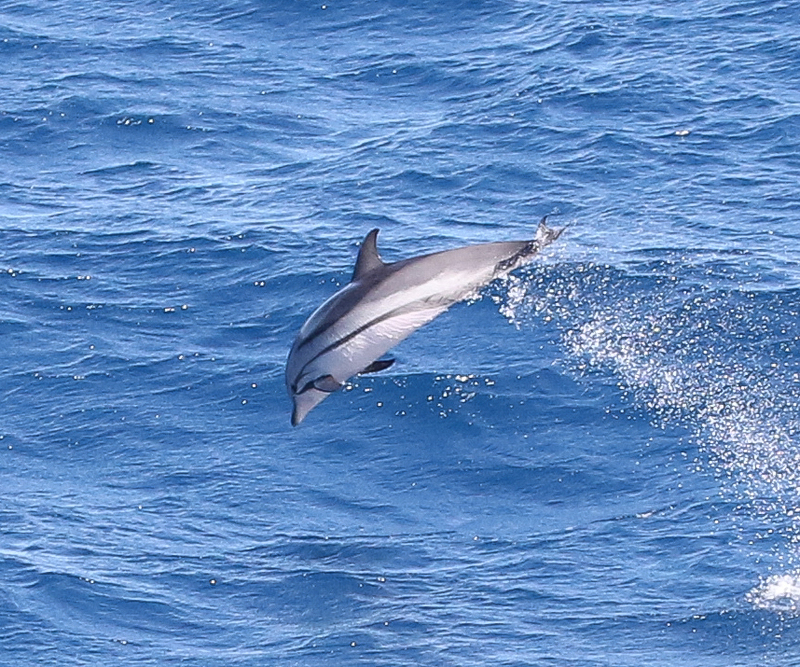 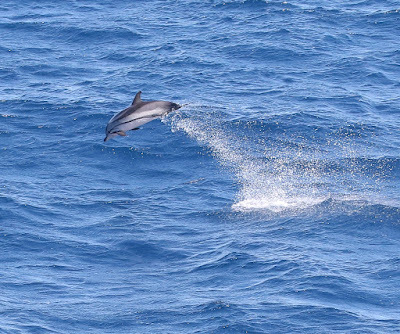 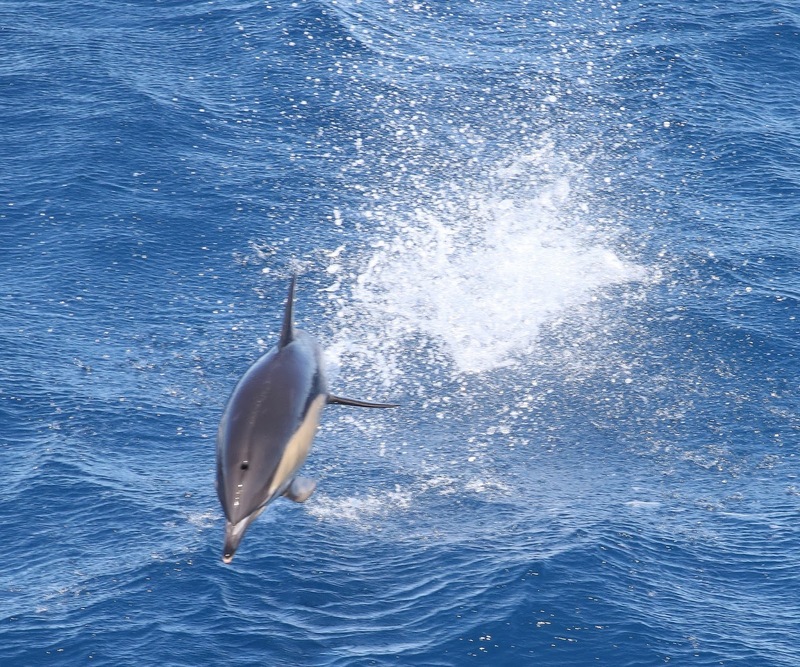 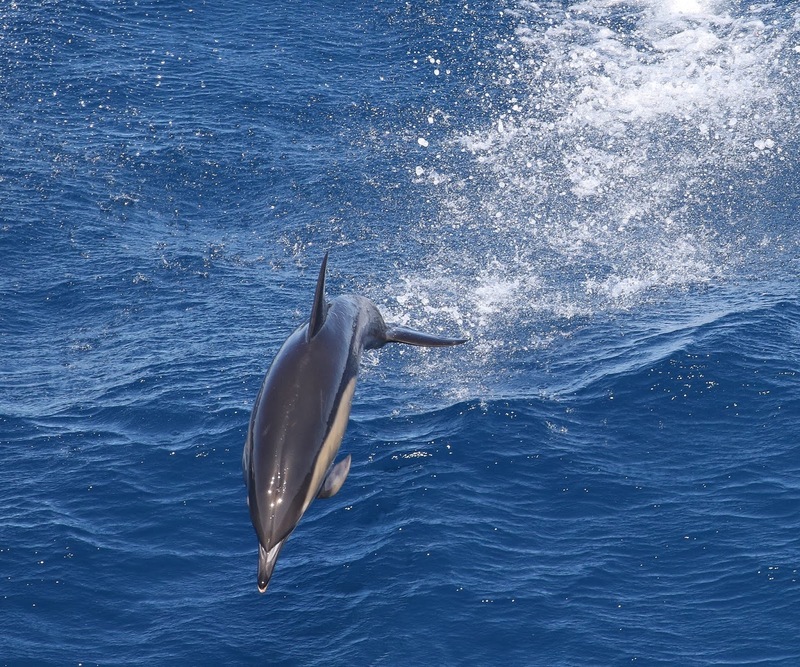 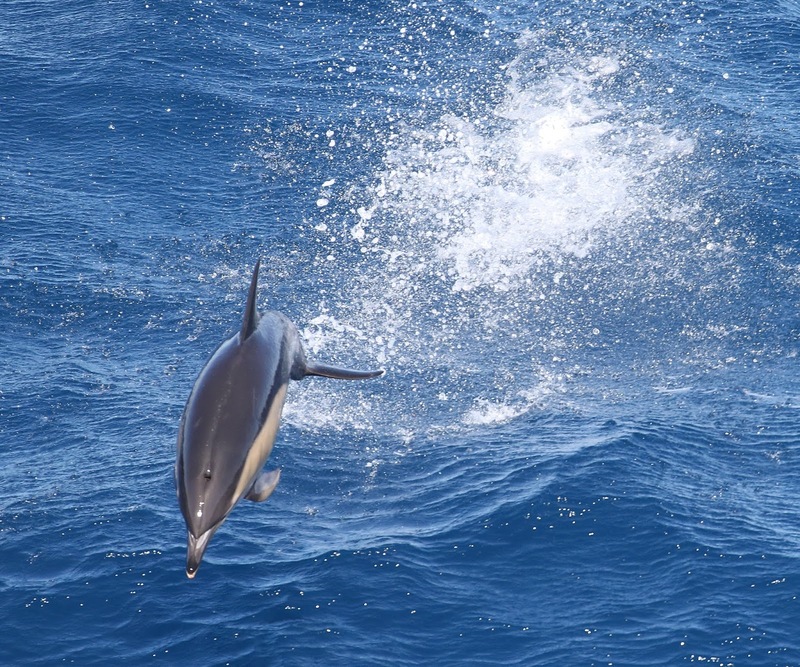 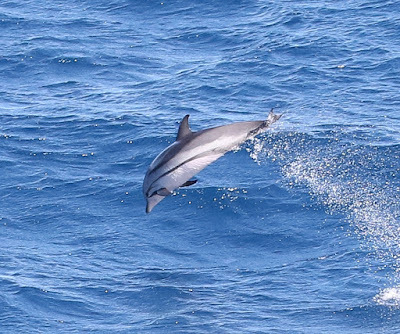 Then I picked up another jumping Dolphin further out & could see that was a Striped Dolphin. 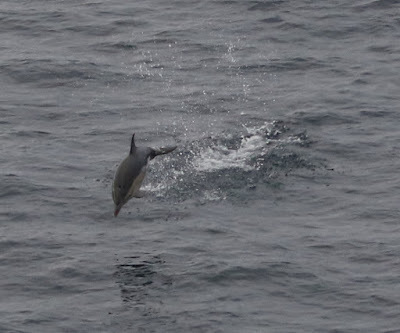 Unfortunately, they didn't come as close to the ship, but made up for the lack of the close approach with their acrobatics. Unfortunately, these were the only Cetaceans we saw as we approached Santander. 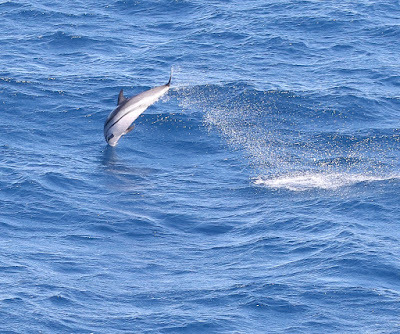 A pity as there had been eight Cuvier's Beaked Whales in the same area on the previous week's cruise. But that is wildlife watching. 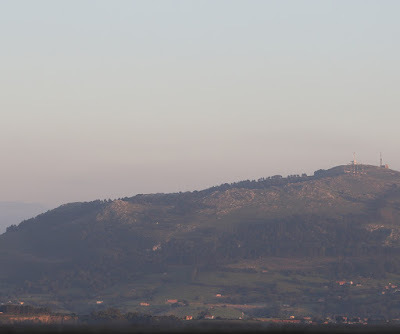 One of the things I had forgotten about from the Bilbao trips was the desperate scanning on the surrounding hills for Griffon Vultures. 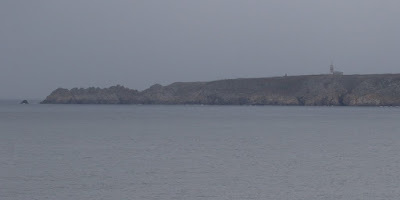 However, one or two of the Birders on the ferry had their scopes up & were scanning the hills & it wasn't long before the shout went up of Griffon Vulture. I hadn't bothered taking my scope & so all I could see were the large dots flying around the hillsides. But given the range, there weren't any other realistic options for what these large dots could be & the guys with scopes confirmed the id. 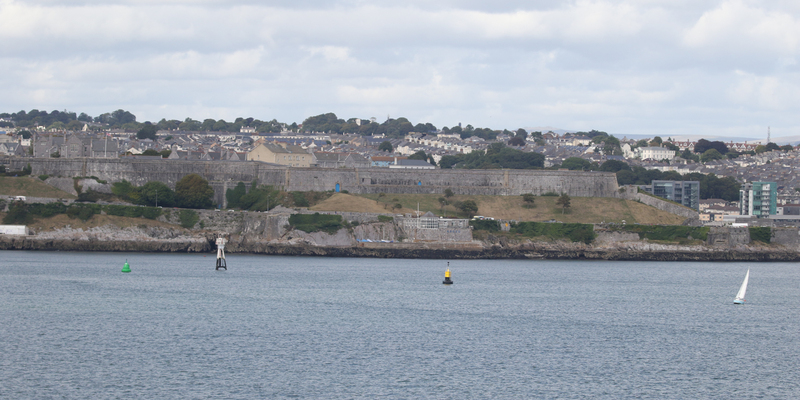 There was about three hours for the mini cruise visitors to have a walk around ashore. 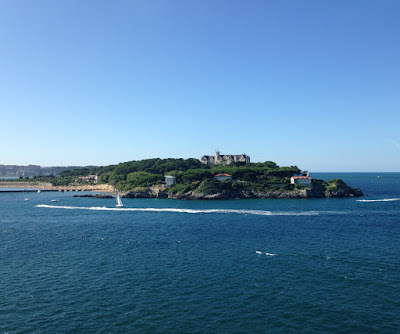 We all had to leave the ship. 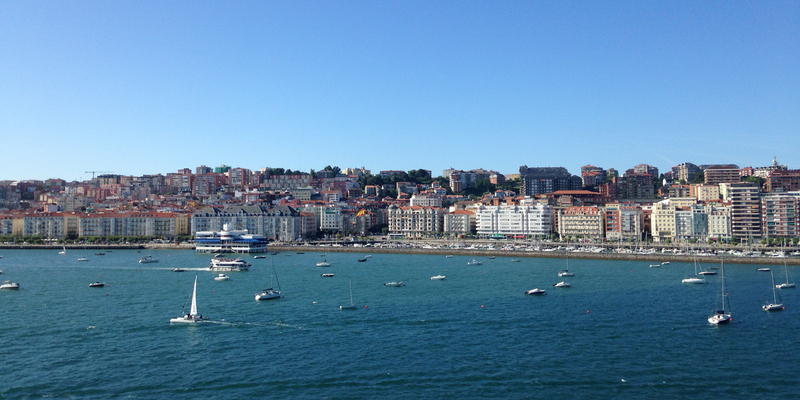 It didn't take long to clear customs & then we were free to walk around the town. The good thing is the mini cruise passengers were allowed to keep their cabins, so all I needed to carry ashore was a small rucksack to hold the camera & bins. 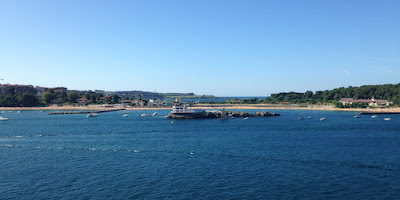 There were plenty of cafes & bars which allowed me to grab a meal & a drink ashore. 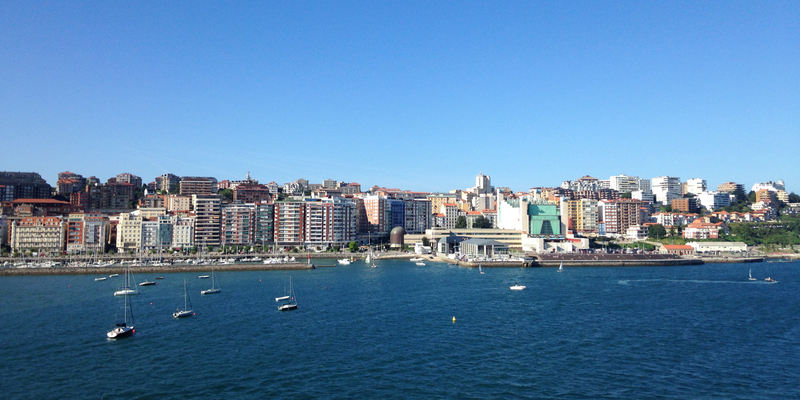 Cheaper & probably better than the self-service restaurant on the ship. 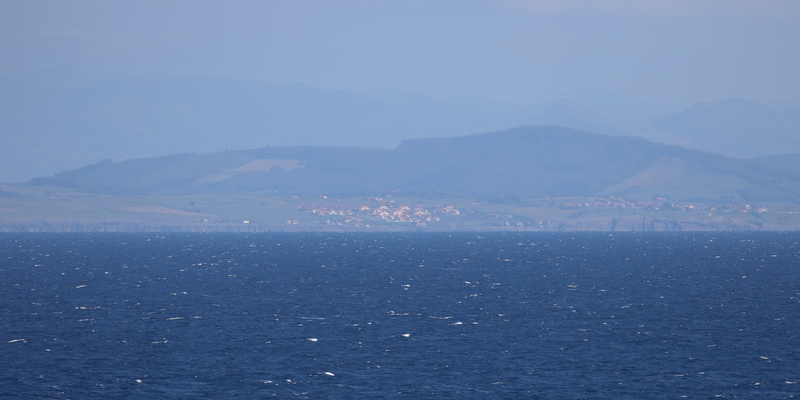 Just after 20:00 local time, I was queuing to get back on shore. 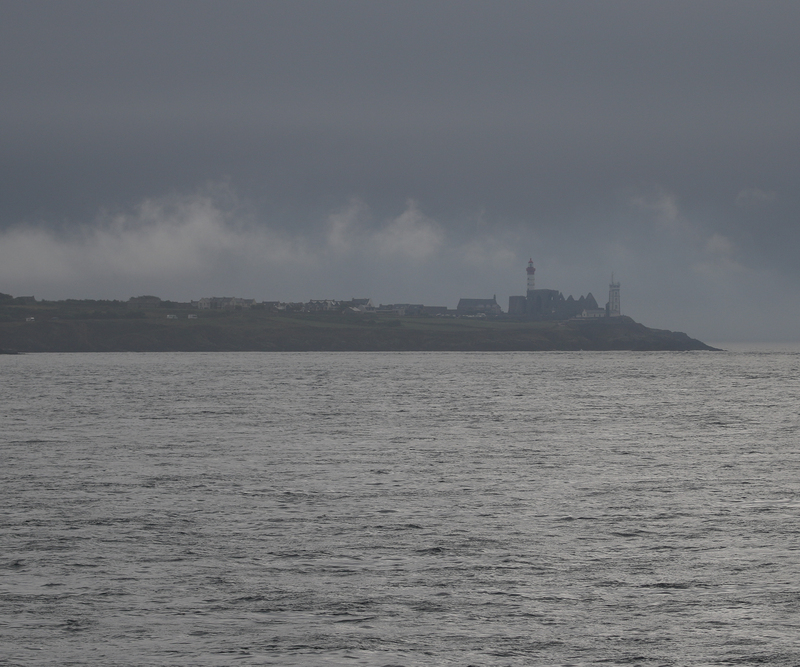 We left at 21:15, but at this time of year it was dark by the time we had cleared the coastline. I guess doing the trip in early July might allow a bit of time for some more Cetacean watching. 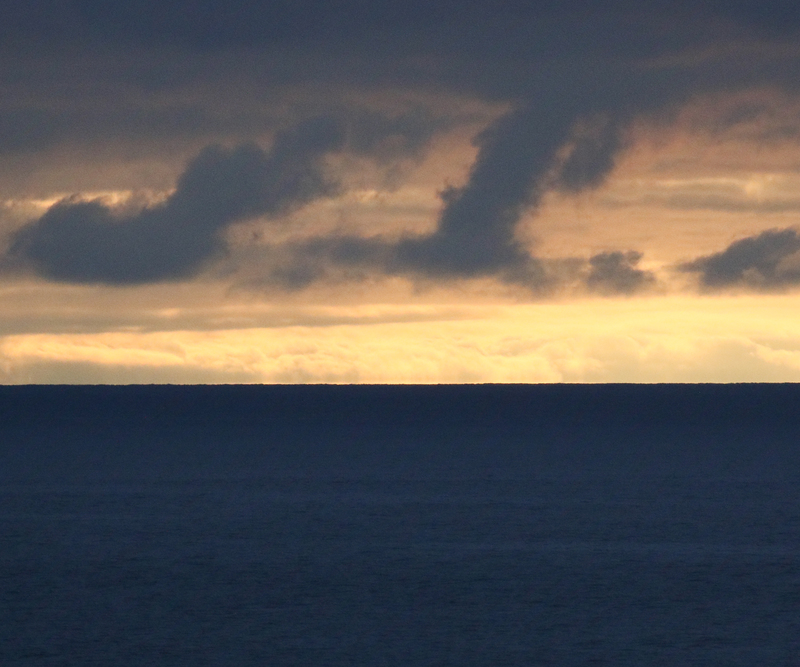 Time for a final drink before getting to bed to allow another early start. 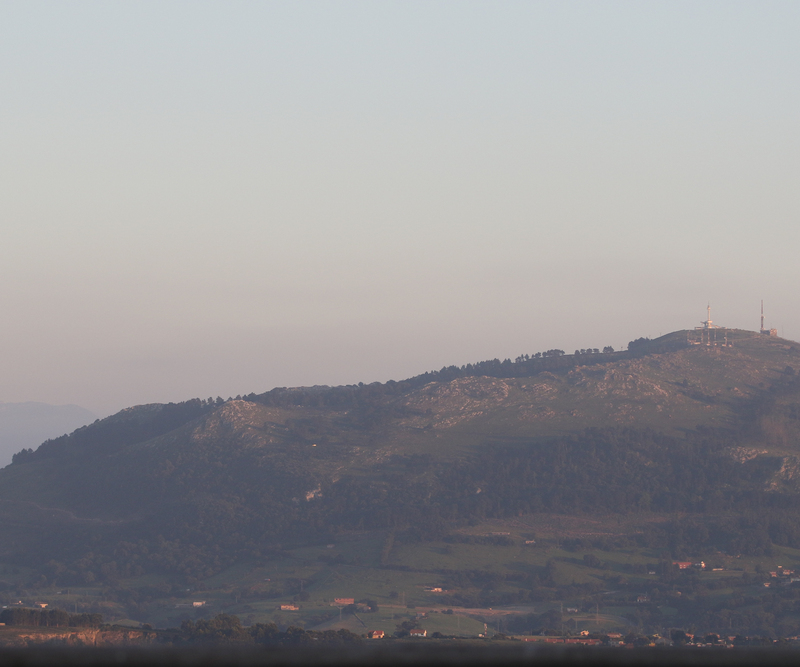 It had been a good day.